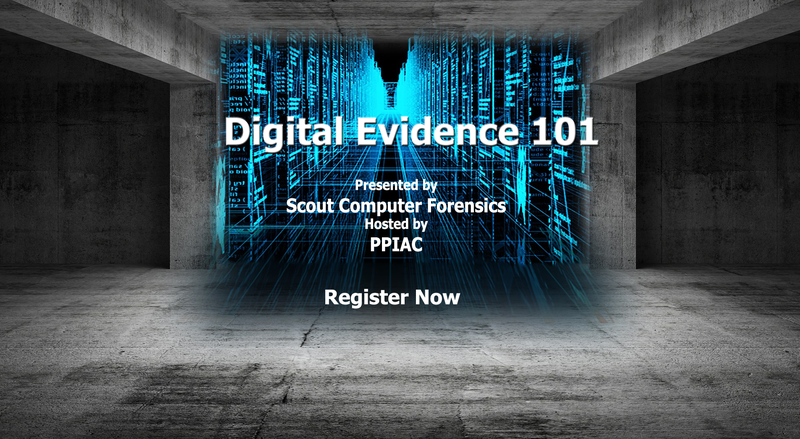 “Digital Evidence 101” is a 2-hour, largely non-technical, presentation. It highlights the many sources and various types of digital information that are available, and covers the fundamentals of obtaining, preserving, and analyzing that information such that authentic and admissible evidence results. Its goal is to increase the baseline technical competence of attorneys and investigators, and help them become more comfortable utilizing digital evidence in their cases. There are no suggested prerequisites for this presentation. Attorneys who attend this presentation will receive 2 CLE credits. Each attendee will receive a printed copy of the presentation. Chris Wells is the founder and principal of Scout Computer Forensics, Inc. He works as a digital forensic examiner and cyber-investigator, and consults on digital evidence-related issues. With more than thirty years’ of experience in the IT industry, Chris holds highly-respected industry certifications in computer and cell phone forensics, cybersecurity, and the law of data security and investigations. He has presented at the local, state, and national level on forensics and cybersecurity, and is frequently complimented on his ability to explain technical topics in easy-to-understand terms.